What's the best of the edible body products, lube, paint, powder, etc. My boyfriend and I really want to try some of this stuff out, but so few of these products have reviews so I want to ask the opinion of the community, what do you suggest? Best lube you ask? That is a subjective question. 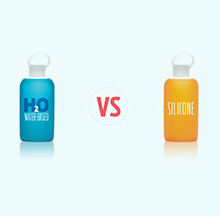 Are you looking for water based stuff or might you prefer the silicone? Some lubes that have never done me wrong are the Eros/Pjur brand (the water based stuff), Uberlube and Sliquid H2O (water based). I might have missed one, but, I like these. Thank you for the advice on a good lube, but none of their products that showed up were flavored, which is what we are looking for. We're trying to find something we can kick off each other until we drive the other insane. For an edible lube, I'd say coconut oil, the kind that you'd buy to cook with. But if you still use condoms, remember that coconut oil (like oil based lube) will degrade condoms and possibly cause breakage. But I for one really like the taste compared to any of the other lubes that my Baby and I use. You can also check out the Munchalicious Dream Cream (Dona Body Paint)! I just did a review on it . It was quite yummy in vanilla. Please forgive my mistake. 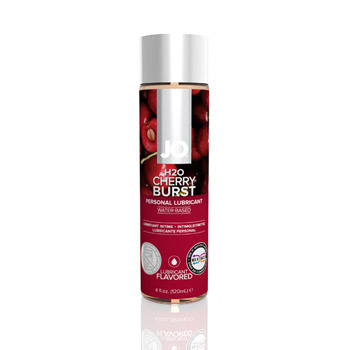 If you are looking for an edible lube Sliquid does have a product line that is edible not to mention vegan friendly, Glycerin free and paraben free, Hypoallergenic and non-toxic and a few other things I can't remember of the top of my head. If this interests you or your partner you can go here to learn more about these products. As for the flavor, I will decline to comment. I hope this helps.